View the latest edition to our professional presentation range of products, with our digital and traditional foiling systems. 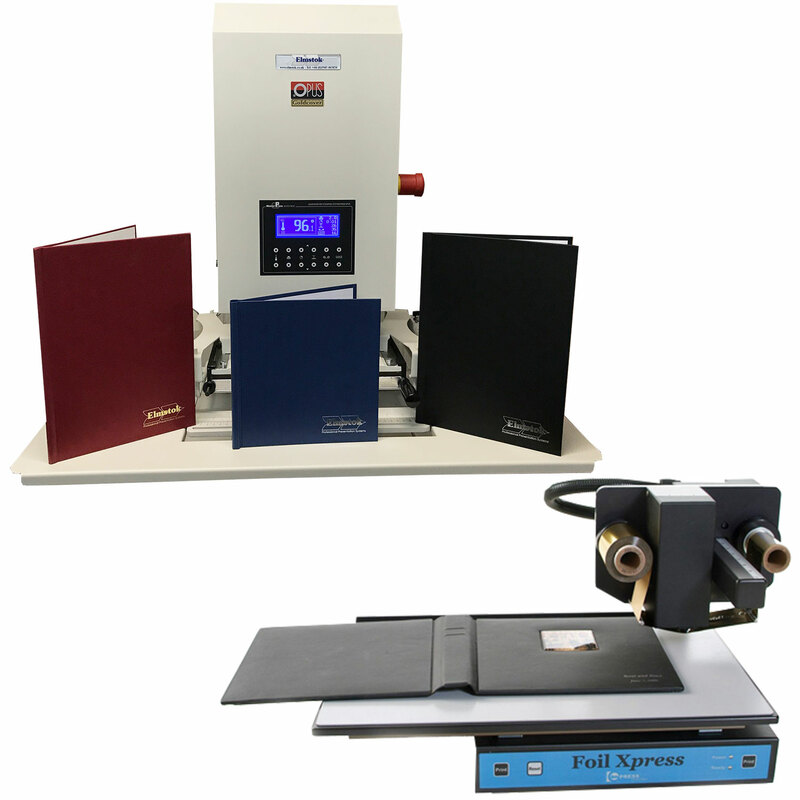 Our foil machines are the perfect addition to our quality binding machines and cover supplies, enabling you to fully personalise and customise your presentation books and covers. These include the Opus Masterpress system, which is similar to traditional foil-blocking, as well as the latest FoilXpress Digital foiling machine that enables you to foil pribnt directly form your computer. Our foiling machines are particularly popular with our hard cover binding products, including Channelbind (i.e. C-Bind), Impressbind, and Metalbind. Contact us for more details or help. Tel: 01945 463434.